I nursed my son for just over a year. It was rewarding but stressful, convenient, yet difficult. Any mother who’s breastfed for any amount of time can relate to that statement. I am blessed that I have been able to stay home with my son, so I never experienced the stress of pumping, but because of that, he refused a bottle. I am a modest person, and tried to avoid nursing him while we were away from home, but when your baby eats every 3 hours, nursing while we were out was often unavoidable. I received a nursing cover at one of my baby showers. It was one of the ones that you tied around your neck, and then used a large square of fabric to cover yourself and the baby. Seems easy enough, right? Not for me… First of all, I constantly would forget to pack the nursing cover in the diaper bag. When I did use it, I struggled to have it positioned just right. The overabundance of fabric frustrated my son, and I hated that I couldn’t look at him while he nursed. Well, problem solved. 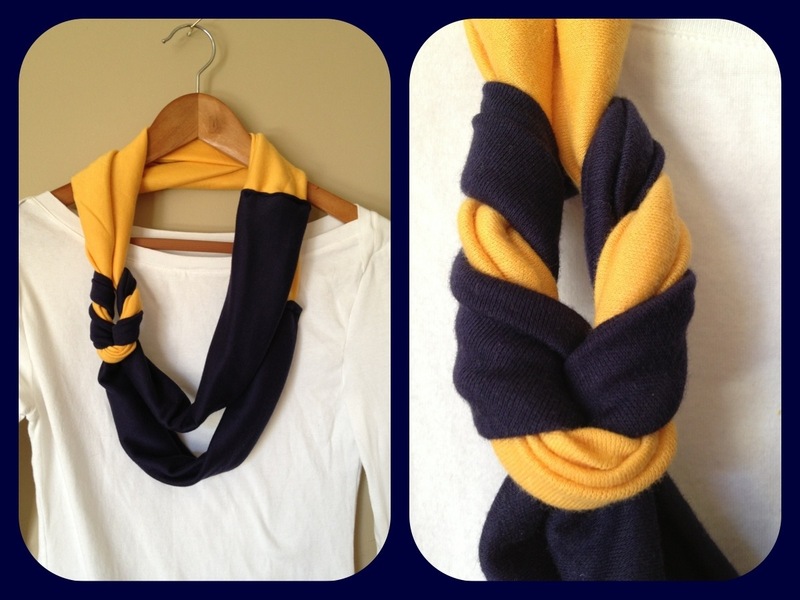 The latest addition to my etsy shop is an infinity scarf that doubles as a nursing cover. This scarf is made from the same, super soft, jersey knit fabric, but is 50% wider, allowing just enough material to cover you and your baby. When you’re not using it as a nursing cover, it makes for a fashionable “chunky” infinity scarf. These are flying off the virtual shelves. 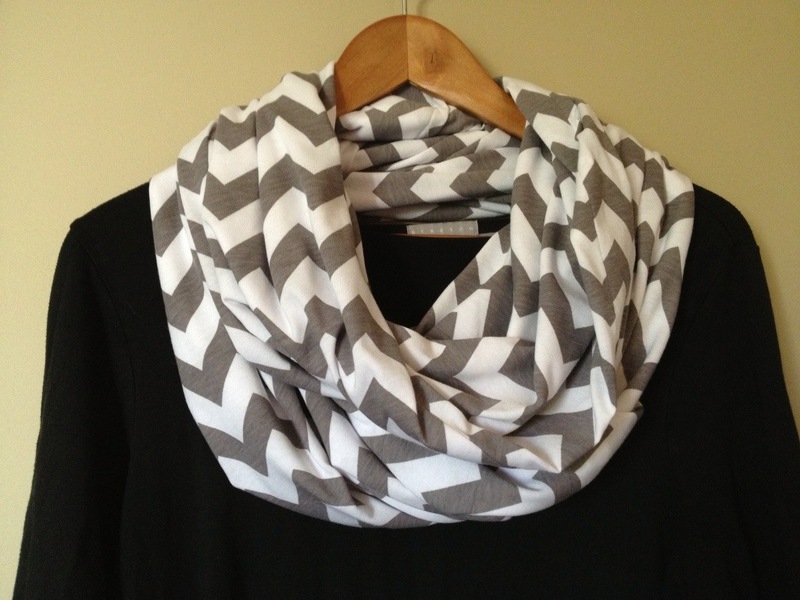 The grey chevron is the most popular color, and it’s easy to see why. This matches everything. It’s the perfect accessory if you’re going to be out and about. 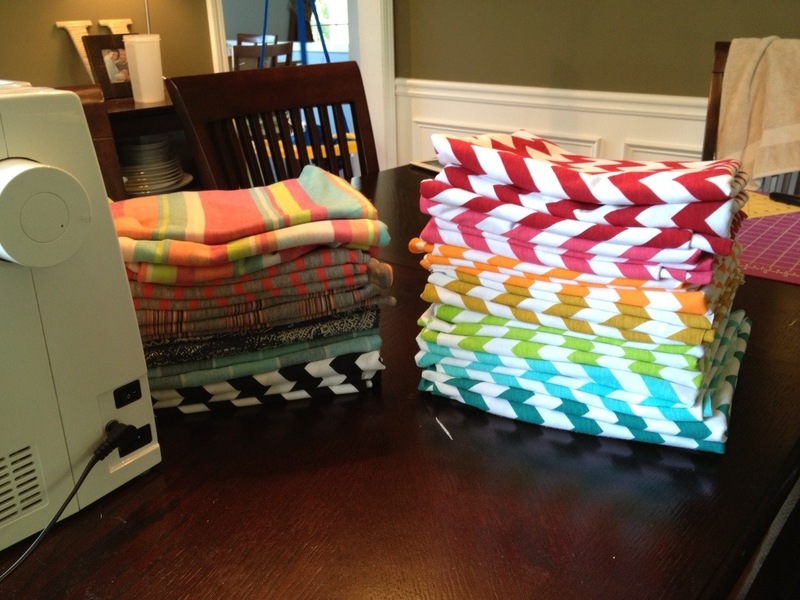 I placed a fabric order today, and the grey chevron should be back in stock the first week in June. I think these would be great gifts for new and expecting mothers. I know that all of my pregnant friends can expect to receive one from me. So, the bracelets were a bust. Easy? Yes. Fashionable? Ummmm, not so much. Yesterday I continued my search for inspiration, packed up little buddy and took a trip to Jo Ann’s, came home and got to work. 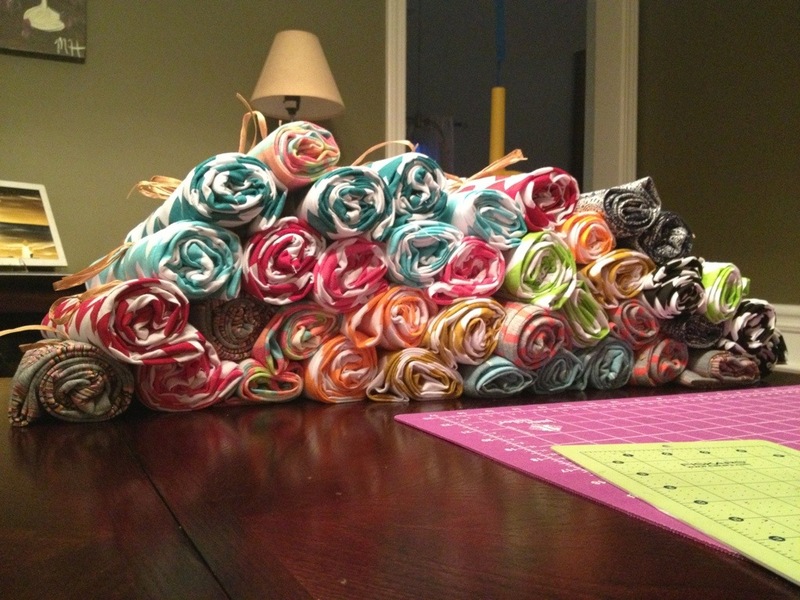 I pinned these scarves awhile ago. They were pretty easy to make, and the possibilities are endless. This scarf uses two pieces of fabric. 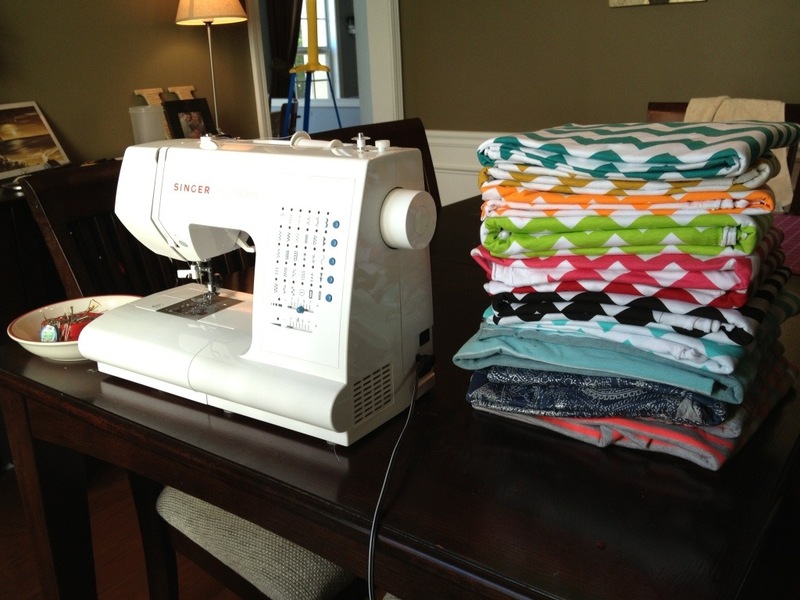 What makes it awesome, is that you can use jersey knit fabric or recycled (or up-cycled???!) clothing. This scarf is made from fabric, but I did experiment with some shirts and an old dress, and I’m psyched. 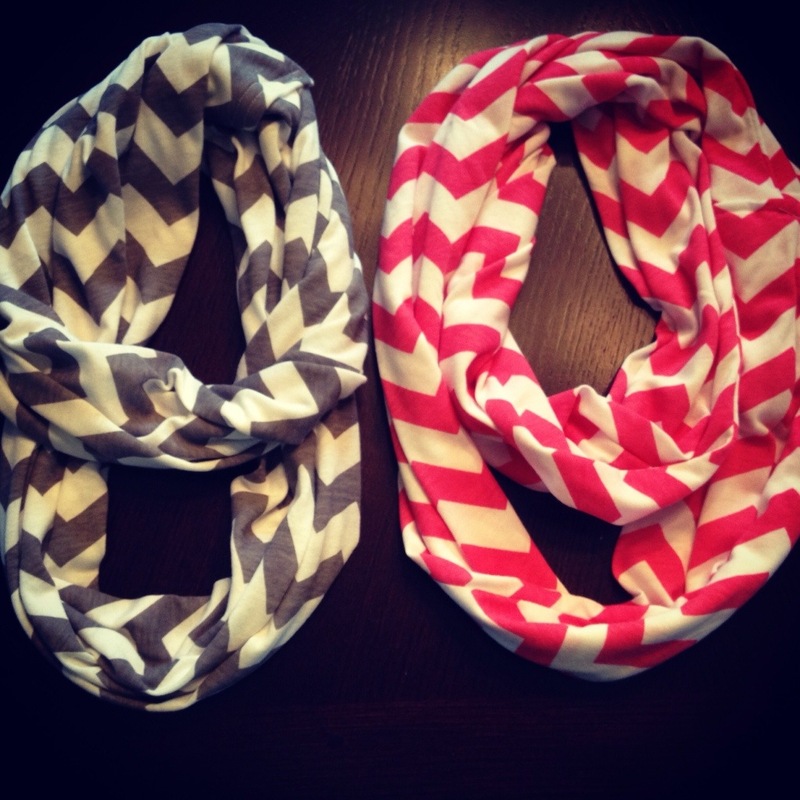 Next, I experimented with adding a punch of color to a regular infinity scarf. I’m in love! 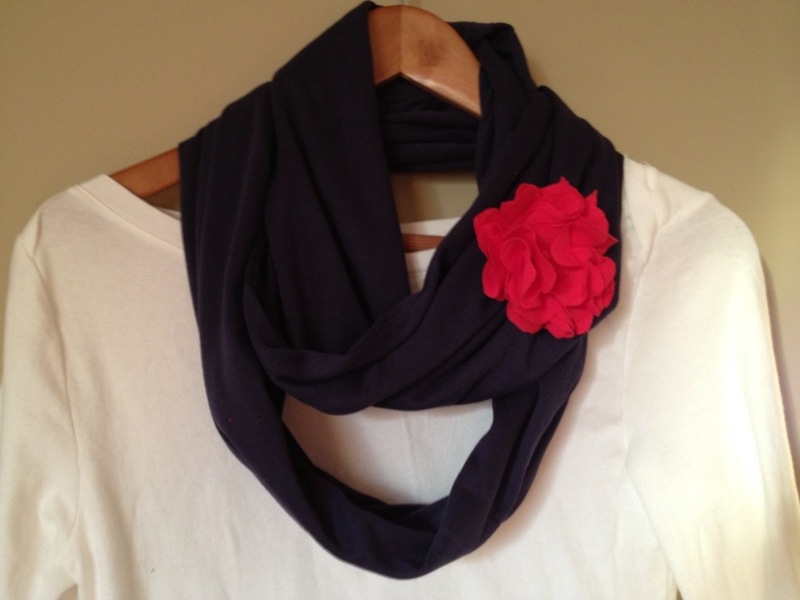 This flower pin (while a bit of a hassle to make) is adorable, and really dresses up the solid scarf. You can completely change the look by swapping the pink for a different color pin. Today, I plan to experiment more with the flowers. I bought some really cool buttons yesterday that I’d like to incorporate as the center of the bloom. We had family pictures taken at the beginning of December and I searched (and searched) for the perfect outfit. Our photos were outside, and I knew I wanted a scarf to accessorize. I bought a couple, but couldn’t figure out how to wear them so that it looked “right,” until I purchased an infinity scarf. I can’t believe I never owned one before. They’re wonderful! Me being me, I examined my new fashion accessory and quickly discovered that I could have made it myself. With Christmas right around the corner, I placed an order for fabric, and decided to make them for all the women in my family. As suspected, they were a hit. Next, I made, and sold them for the girls in my moms group, again- a hit, and so they are now available for order on my site.